Taliban Peace Event In Qatar? ISLAMABAD: The Afghan Taliban have hinted that they are willing to hold talks with the government-backed peace council, an Afghan official familiar with the development said. US Special Envoy to Afghanistan and Pakistan James Dobbins met President Karzai in late May and “informed him about the Taliban’s willingness to talk” to the Afghan High Peace Council in the near future, the official told The Express Tribune on Sunday. Dobbins, who later visited Islamabad, is believed to have discussed the Taliban proposal with Pakistani officials. “The Afghan government has not agreed with certain pre-conditions put forward by the Taliban and discussions are underway to find out a solution,” the source said. The Afghan government wants the Taliban to publicly denounce al Qaeda and hold direct talks with the Afghan peace council in Qatar, where the Taliban have their “political office.” The office has not yet been officially recognised by the US and Afghan government. “The Taliban however offered that they would publicly condemn all act of terrorism but would not mention al Qaeda. 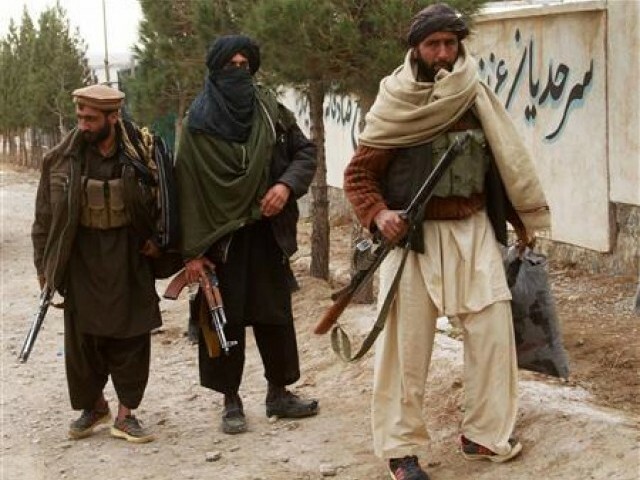 The Taliban also suggested that they would not publicly mention the Peace Council but will say that they are willing to talk to all Afghan sides,” the Afghan source said. “The Afghan government disagreed with the Taliban suggestions. However, efforts are underway to remove differences to pave way for the urgently-needed talks,” he said. The Taliban spokesperson Qari Muhammad Yousaf rejected the claim as false and part of a propaganda to create doubts. “It is a white lie and aimed at misleading Afghans,” the Taliban spokesperson told The Express Tribune over a phone call. He said the Kabul regime spreads such rumours as it has failed on military and political fronts. The Afghan official said that the government is now engaged in serious debate over how to proceed and is ready to show “flexibility” and expects the Taliban negotiators will also respond in the same way. Taliban have ruled out talks with the Afghan government so far, saying that the Kabul regime is powerless and a US puppet. President Karzai, leading a high-level delegation, left for Qatar on Sunday where he will “discuss Afghanistan’s peace process” and bilateral relations between the two countries, presidential palace said. Karzai will attend the 10th annual US-Islamic World Forum in Doha and is scheduled to deliver a speech today at the Forum about Afghanistan’s vision on regional and international issues. The Afghan official said that President Karzai, who is also accompanied by Head of High Peace Council Salahuddin Rabbani, will get more information about the Taliban’s talks offer during his visit. The Taliban spokesperson ruled out any possibility of talks with Karzai during his visit to Qatar.